How many times have you walked into a gas station or a restaurant out on the road somewhere here in America to find a cookie jar next to the cash register with the photo of someone who is ill and whose family cannot afford their care, someone who is suffering not just from their illness but from a healthcare system that discriminates against the self-employed and the under-employed: the artists, the musicians, the waitresses, the short order cooks, the line workers, the craftsmen, the family farmers? In every other civilized, developed nation in the world cookie jars are for cookies and those who cannot afford care are not reduced to begging from strangers for their lives. In the lands of our allies, and some of our so-called enemies, those suffering most are not forced to appeal to those suffering-somewhat-less for help navigating a wasteful, unjust, and unfair healthcare system. Thirty to forty percent of every dollar we hope to spend on healthcare disappears into administrative costs in doctor’s offices, hospital accounting departments and private insurance companies. Where are those dollars when we need them? Where are the corporations? Where are the CEOs with their obscene salaries? No one is actually worth that kind of money, except those who are suffering and might be healed, those who are injured and might be helped, those who are broken and might be made whole. Help us by contacting your congressmen and senators, your state legislators and governor. Write letters to the editor. Get involved or start a Healthcare Is A Human Right Campaign in your community. 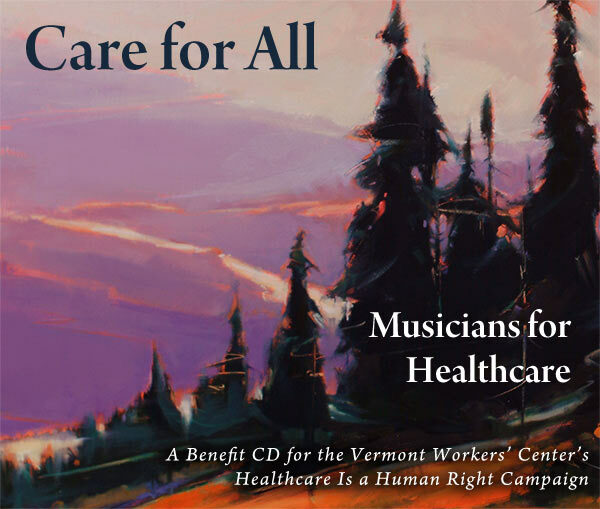 Produce your own Musicians for Healthcare CD. Talk to your neighbors. Civil discourse and a willingness to simply care for those in need will do it. Waiting for anyone else to do it will not. On behalf of the artists, engineer and studio that donated their time and talents, I ask you to join us. If our representatives won’t lead us where we want and need to go, then, together, we will lead them.